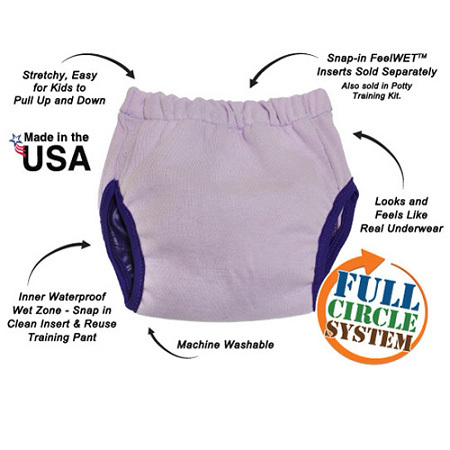 Best bottom waterproof washable training pants. 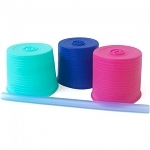 Medium blueberry, grape, bubblegum, and panda , Hedgehog small, medium and Extra large in stock end April. 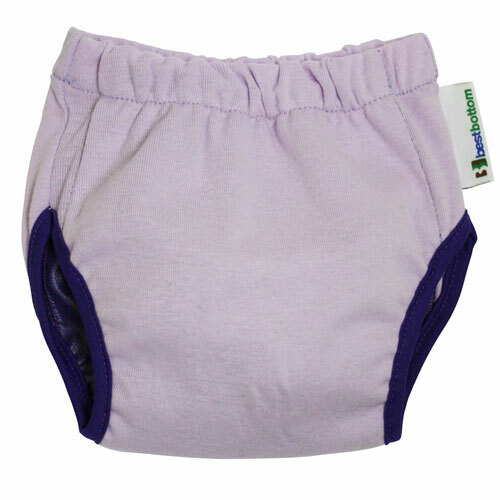 Best bottom training pants are a waterproof sized pull on pants that look like real pants they can be used with either the best bottom feel wet training pants inserts that are ideal for little accidents if you todder is just starting potty training then the small or medium best bottom stay dry or hemp inserts can be used, all inserts popper in to the pants so your child can easily pull the pants up and down. 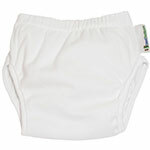 Through thorough testing, toddlers chose the Best Bottom Training Pant because it looks and feels like REAL underwear! 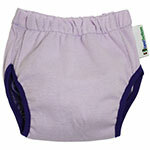 The soft and stretchy cotton outer makes it easy for them to pull up and down on their own. 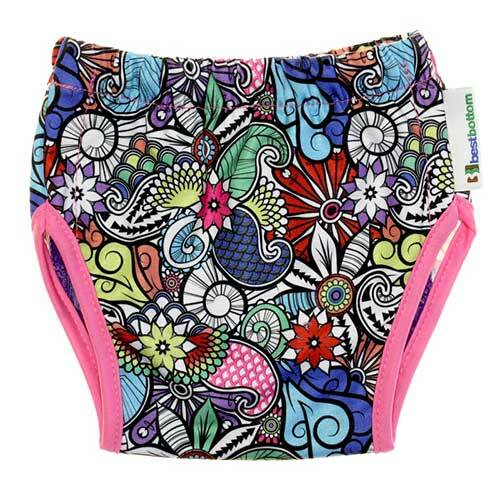 The waterproof zone on the inner protects from accidents and allows you to snap out the wet insert and snap a new one in, reusing the training pant and saving you even more money! The training pant is sized (potty trainers rarely change sizes during the time they are training) and we found that a one-size training pant with snaps on the front was labeled as a diaper by toddlers. Why no snaps on the sides? 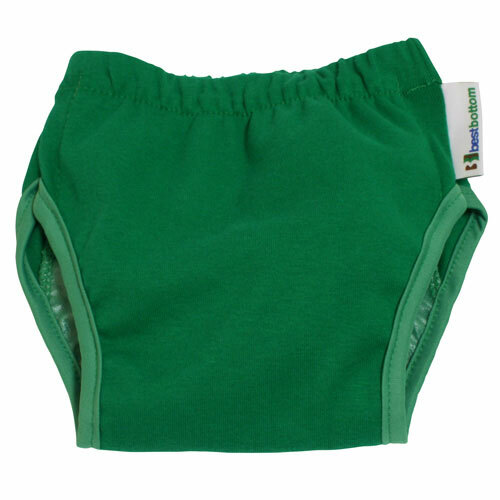 Side snapping training pants were also called out by toddlers as diapers. For the occasional #2 accident, simply have your toddler stand while you slip the trainer to their ankles and snap out the soiled insert. X-Large (5T) 35-50 lbs. 18"-26" 14.5"-15.5"
Most leak-proof yet but not perfect! 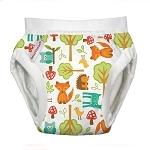 I am using these pants overnight on my two boys both of whom are still wet at night. The 2 1/2 year old is in size M with Medium stay dry insert, and the nearly 5 year old is in L with Medium stay dry insert. They are quite close fitting so you wouldn't fit any bigger inserts in, in fact the M pants would be best with a small insert I think. So the bottom (!) line is that they are fairly leak proof - one day in three PJs get wet, but the bedclothes are saved. Given that they used to leak out of disposable pull ups I'm quite happy with that! 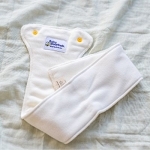 Bought these for my daughter to use at night when we were concerned she might not wake for a wee. 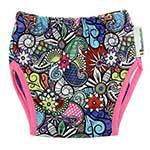 Told her they were her big girl knickers as she could pull them up and down like the ones she used in the day time. Used with the inserts that key my daughter know if she was wet, making they were absorbing the accident but making her aware of it for the future! These are great. 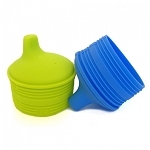 We use them with small best bottom inserts and hemp doublers we already had for overnight. 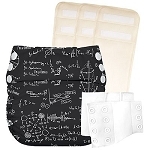 This means if we put him on the toilet overnight we can pull them down easily but they have enough absorbency to last the night unlike normal training pants.